The most frequently mentioned word by French President Emmanuel Macron during his first European Council was "protection," used in two contexts - trade and security. Both topics have long been debated by the leaders of the 28 member states, but trade has a certain lead in terms of time spent on it. 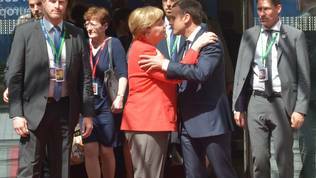 After the first day of the meeting on 22 and 23 June in Brussels, he said he would like to define or rather redefine Europe in terms of protection. To him, trade is one of the biggest challenges faced by the EU, alongside climate change, the fight against terrorism, and migration. According to Macron, the answer to all these challenges is the EU and therefore he called for protection, but not protectionism in trade. It is important that rules are respected, that competition be fair and that the law of the jungle in international relations is not allowed. It is therefore necessary to strengthen the anti-dumping rules. German Chancellor Angela Merkel, on the other hand, is of the opinion that globalisation is something that can be a win-win game for all. The most important aspect in this respect is reciprocal measures regarding access to public procurement tenders. "If we have access to public procurement, for example in the USA, then we can also offer public tenders and access to public procurement in Europe", she said. The biggest concern of some member states is the purchase of strategically important companies by state-owned companies from non-EU countries, so they insist that investments be carefully scrutinised and evaluated. In this spirit are also the conclusions of the summit, which state that the EU will keep the markets open and fight protectionism. To do this, however, rules must apply to everyone and everyone needs to adhere to basic social, environmental, health and consumer protection standards. Or, as formulated in the document, all standards "that are central to the European way of life". Member states believe that trade and investment can only be free when they are fair and beneficial to all. The 28 have called for the swift negotiation of modern trade protection instruments in line with World Trade Organisation rules, a proposal on which the European Commission has already made. Leaders urge the Commission and the Council to deepen talks on the introduction of reciprocity in public procurement and investment. They also welcomed the Commission's ideas on harnessing globalisation, which were presented in May. The hottest disputes were on the subject of investments, as small trading states insisted that everything possible be done to avoid turning otherwise legitimate concerns about strategically important sectors becoming protectionism. 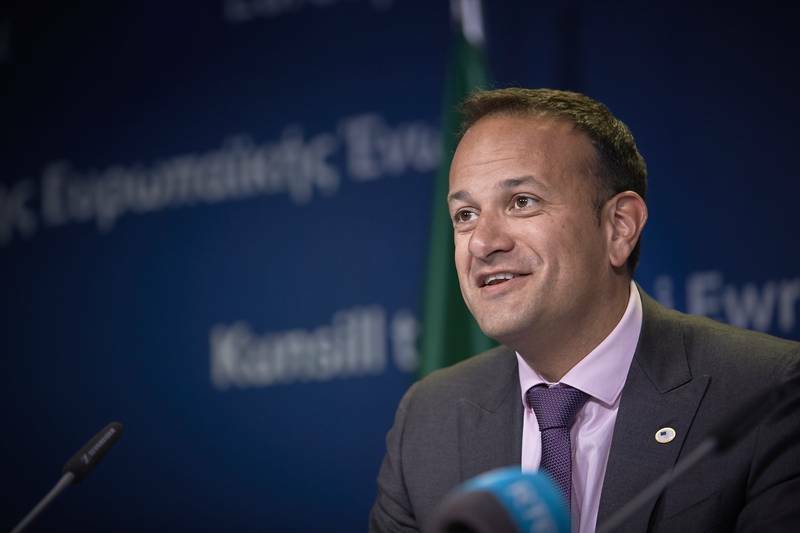 Or, as Irish Prime Minister Leo Varadkar, who also had his debut at this summit, described it, it should be avoided that protection measures become a Trojan horse of protectionism. 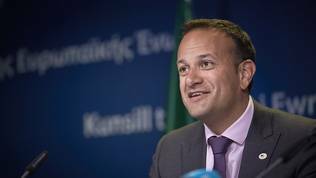 "We totally understand and support the view of some countries, including France, that it makes sense to screen certain investments, certain purchases because we don’t want important public infrastructure - airports, the energy network, possibly the rail system, strategically important aerospace and defence companies effectively falling into the ownership of non-European governments through state-owned enterprises", the Irish prime minister said, but he boasted that Ireland, the Nordic states and Benelux have successfully fought for changes in the text of the conclusions. 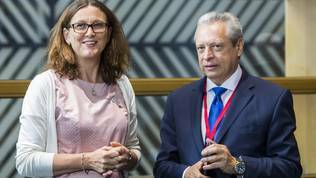 The last conclusions’ draft, which is available to euinside says: “[The European Council] calls on the Commission to quickly start work on additional measures to make EU trade practises and protection instruments more reactive and effective. 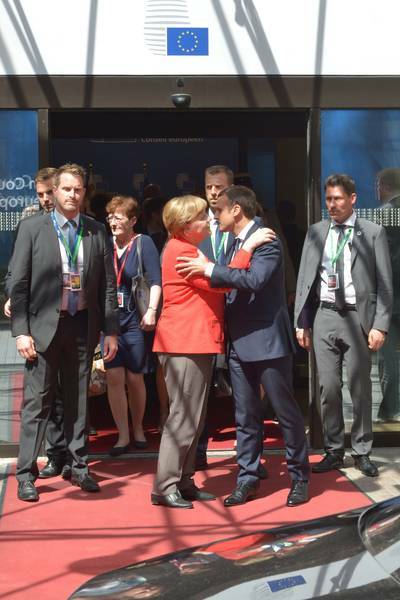 The EU must also ensure that our trading partners are as open in the field of public procurement and investment”. The final adopted text is considerably mellowed down. It says: “[The European Council] calls on the Commission to ensure their swift and effective application through non-legislative implementing measures to make the EU trade practises and defence instruments more reactive and efficient and to propose, if necessary, complementary measures. It also calls on the Commission and the Council to deepen and take forward the debate on how to enhance reciprocity in the fields of public procurement and investment”. In the draft, the European Council invites the Commission to explore ways of identifying and reviewing third-country investment in strategic sectors, whereas the adopted document only talks about investment analysis without specifying in which areas. During their meeting, leaders welcomed the progress in the negotiations with Japan on the future trade agreement. Two weeks later, the outline of the trade deal with Japan is already visible. At the EU-Japan summit in Brussels on July 6, European Council President Donald Tusk (Poland, EPP), European Commission leader Jean-Claude Juncker (Luxembourg, EPP) and Japanese Prime Minister Shinzō Abe reached political agreement on the future trade agreement, which the EU says will be the most important one for the EU so far, because it will for the first time include a special commitment to the Paris climate agreement that US President Donald Trump has announced the US will leave. The signing of the deal coincided with the visit to Warsaw of Donald Trump, who has sympathies for illiberal regimes and is a supporter of protectionism. He was greeted as a rock star in Poland, which is playing an ever stronger EU opposition and is walking an illiberal path. In this sense, the message from Brussels was more than eloquent. 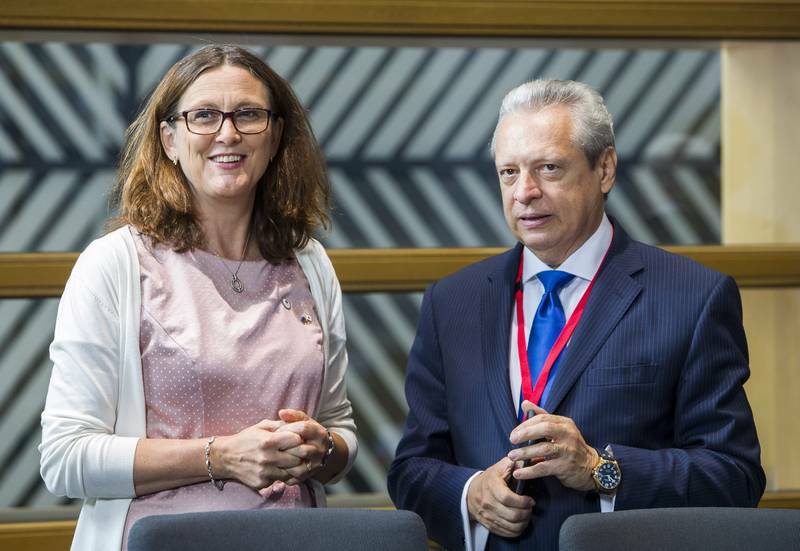 According to EU Trade Commissioner Cecilia Malmström (Sweden, ALDE), "we are demonstrating that the EU and Japan, democratic and open global partners, believe in free trade. That we believe in building bridges, not walls". 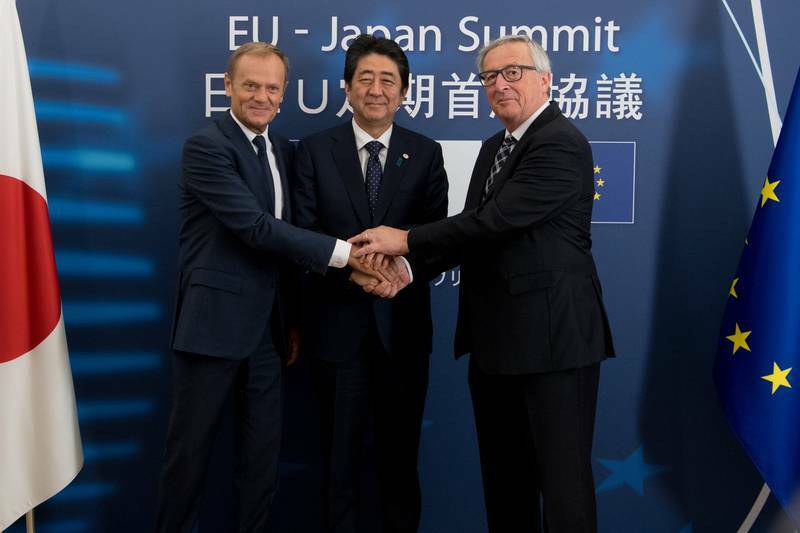 The joint statement of Tusk, Abe and Juncker also makes a reverence to democracy and the rule of law, due to the violation of which for the first time the EC has activated its otherwise rather impotent mechanism for the protection of the rule of law against Poland. "We remain united by our common values of democracy and the rule of law and by our determination to promote together an open and fair global economy that benefits everyone". 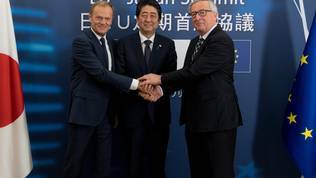 The statement also says: "At a time where the rules-based international order is under increasing pressure, the Economic Partnership Agreement and the Strategic Partnership Agreement recapture the shared values and common principles that form the foundation of the EU-Japan partnership, including human rights, democracy and the rule of law". The trade agreement with Canada, which seriously shook EU unity, was also presented as an agreement between allies in democracy and the rule of law. The parameters of the future Japanese-European trade agreement include the abolition of customs duties on many cheeses, such as Gouda and Cheddar, which are currently at a rate of 29.8%. The duties on wines, which are currently 15%, are also to be dropped. The deal will allow the EU to increase exports of beef and pork. Protection in Japan is guaranteed for over 200 high-quality agricultural products with geographic identification. The markets for services, telecoms and transport are to be opened; European companies are guaranteed access to major public procurement markets in Japan in 48 major cities and obstacles to public procurement in the railway sector are being removed. The agreement will protect sensitive EU sectors such as automobile and will require transitional arrangements before the full opening of this market. According to Commission estimates, the agreement will exempt a total of € 1 billion in customs duties paid by EU companies each year. The ambitions of both parties are for the negotiations on the agreement to be concluded by the end of the year. There are some technical aspects that need to be smoothed out. The most controversial moment is the resolution of investment disputes. This case was hardest to solve in the Canadian trade agreement as well. The EU insists on using a special judicial system instead of ad hoc arbitrations. If everything goes unhindered, this agreement will mark the great return of the EU to the global scene after the US withdrawal, just one day before the G20 summit in Hamburg.